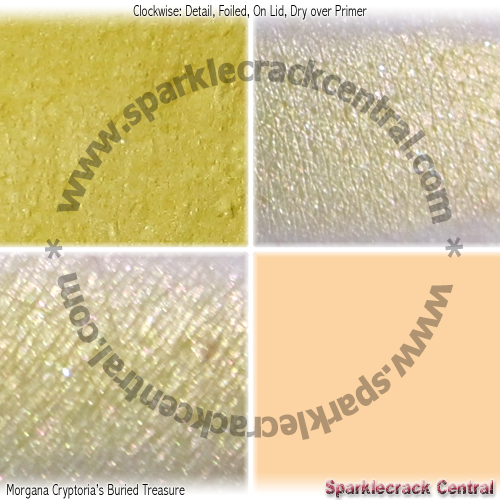 This is actually the only color I bought from the Pirate collection - the others looked semi-interesting, but didn't really catch my attention that strongly. I purchased this color back when I made my other large-ish Morgana purchase (which included Zaria) - so I bought this color before I had even heard of Shiro Cosmetics. 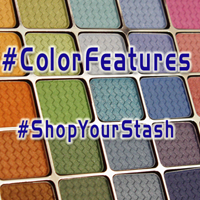 The similarity between the two colors is striking, but they aren't exact dupes. 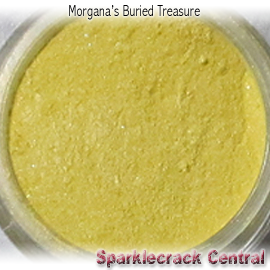 The shimmer in Buried Treasure is more yellow and pink, and finer. The sparkle in Pikachu is larger granularity, and definitely red. The base colors are quite close, though.